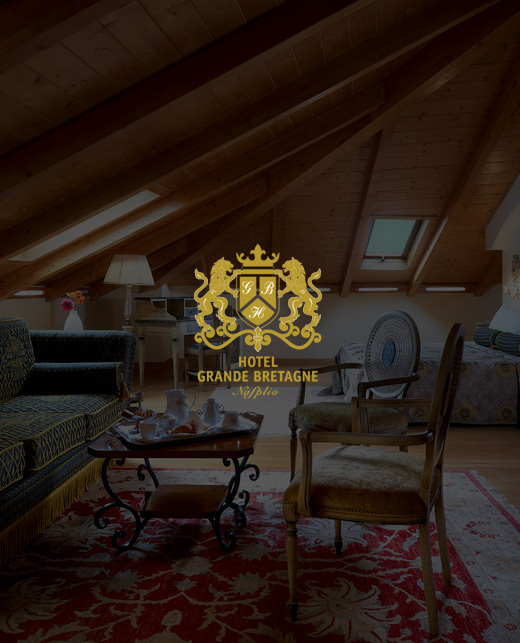 Hotel Grande Bretagne has 20 luxurious rooms and suites. All suites are easily transformed into family 3-bed or 4-bed rooms. All rooms are spacious, with neo-classical decoration. Our warm colours will make you feel at home, comfortable and relaxed, from the first moment. The hotel's location right in front of the port, in the center of the old town of Nafplion, in Argolis gulf, gives you the opportunity to combine, holidays, sightseeing and work, away from the stress and routine of everyday life.